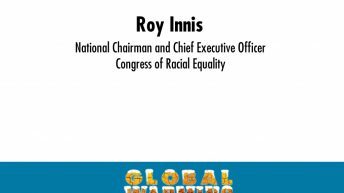 Roy Innis was national chairman and chief executive officer of the Congress of Racial Equality (CORE), the third oldest (founded in 1942) and one of the “Big Four” civil rights groups in the United States. Innis served the organization in varying capacities since 1963, when he joined CORE’s Harlem chapter. He was a member of the board of directors of the Coalition for Fairness to Africa, Hudson Institute, Daemen College, American Alliance For Better Schools, Landmark Legal Foundation, National Ethnic Coalition Of Organizations, National Rifle Association, and African American Fund For Higher Education, and is an associate member of the Fraternal Order of Police. He was exposed to climate variation dynamics while a student in chemical engineering at the City College of New York, and he later held positions as a research chemist at Vick Chemical Company and Montefiore Hospital to hone his technical skills. 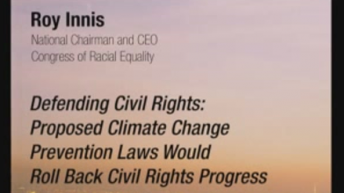 His life-long interest in science and commitment to protection of the civil and human rights of all people has culminated in a book titled Energy Keepers Energy Killers: The New Civil Rights Battle.